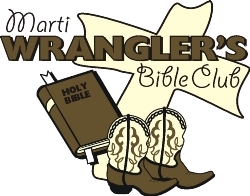 Wrangler Bible Club is sponsored by FCA Fellowship of Christian Athletes. We meet on Tuesday after school from 3:30 to 4:30 pm. We enjoy snacks, songs, and Bible stories together. Permission to participate is required before attending. Forms are in the school office, or you may print out the attached form below and send to school. We begin in the fall the first week in October, and take a break in January. Our new spring semester begins the first week in February. Please contact Jill Goodgion, the Bible Club coordinator, if you have questions.